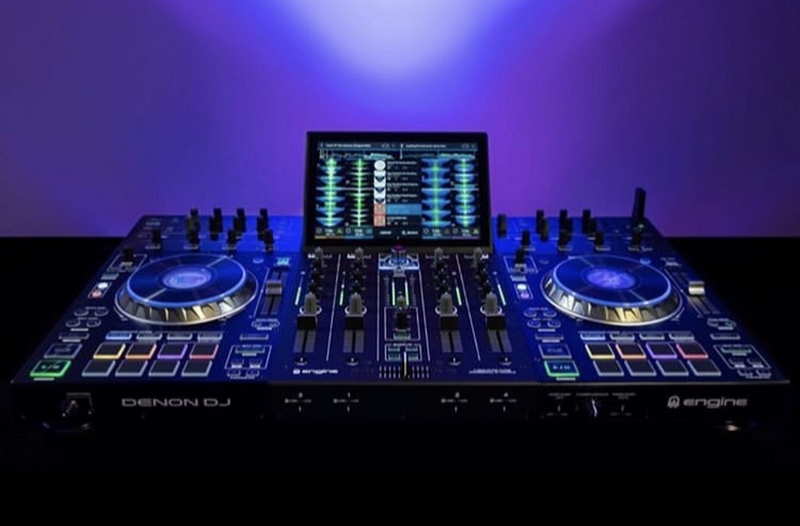 Home DJ News New Denon DJ All-In-One Media Player Coming Soon? Check out the product launch article here with all the details! Update 17/01 12:30 CET: And here it is! I just grabbed this image from Denon DJ’s Instagram page. Not sure if someone in the marketing department jumped the gun, but it’s official now. Not sure about the naming, but what we have here is quite impressive! A 4 channel standalone Engine Prime media player, with a truly massive screen in the middle (that looks a lot like an iPad mini, to be frank) LCD screen built into the jog wheels… The official announcement should be happening today since the cat is out of the box. That’s a large screen, and from the look of it, it can tilt! You are looking at the back of the unit here, and if you look closely, the screen is not attached to the back of the player, but rather on jog wheel height. 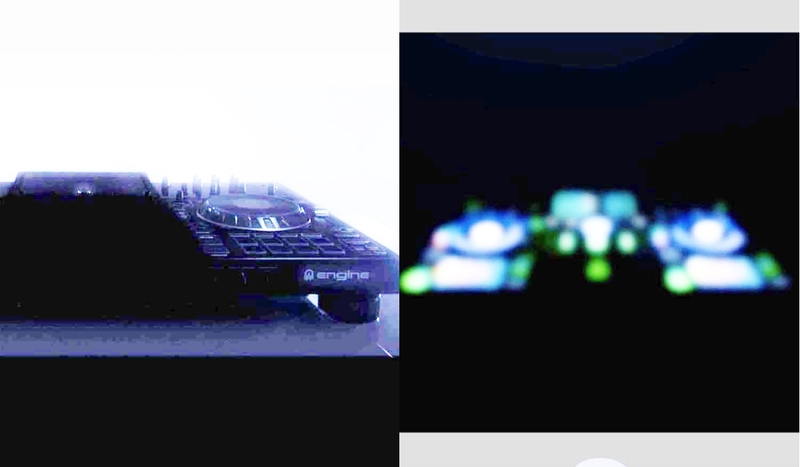 Taking into account the previous images (see above), where the screen is visibly sitting much flatter against the unit’s baseplate, we can conclude with a high degree of confidence that the screen is not only quite large but that it can also be tilted towards the DJ for a better viewing angle. And that is definitely a very cool thing. 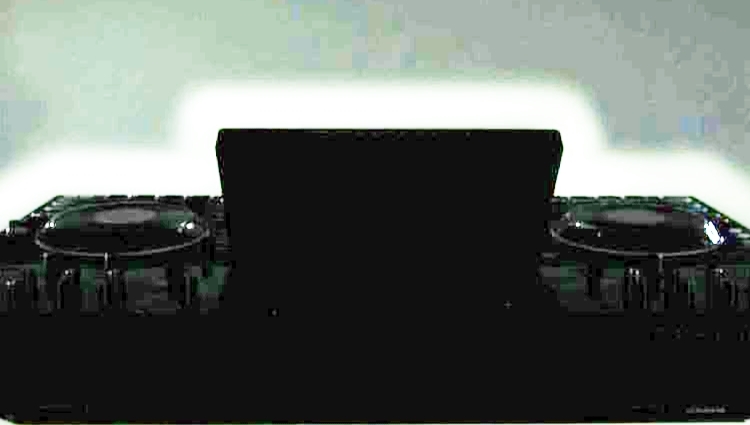 New Denon DJ media player coming soon? 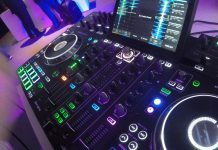 The design is very similar to the Pioneer DJ XDJ-RX2: a dual deck unit with a central screen, 8 performance pads per decks, and obviously, support for Denon DJ’s in-house Engine music management solution. 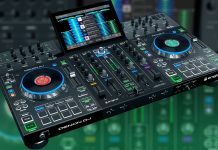 With NAMM 2019 around the corner, it’s the perfect moment for Denon DJ to launch this, and an all-in-one media player is the logical next step for their Prime ecosystem, that already has two media players (the SC5000 Prime and the SC5000M Prime), a club mixer (the X1800 Prime), and the MCX8000 DJ controller. 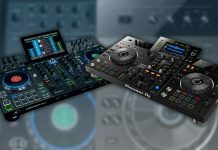 Pioneer DJ has dominated this market segment for years, and the XDJ series is the reference when it comes to all-in-one media players. 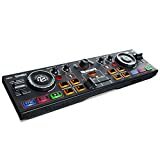 And while the MCX8000 was technically an all-in-one player since it can play music from USB sticks, it’s at the same time too much of a DJ controller to realistically challenge Pioneer DJ on this front. This looks like it might do just that, and if it’s on the same level as the Prime series, then it could really mean some serious challenge for Pioneer DJ. So yeah, we only have those blurry images for now, but I think we all know what’s coming here. 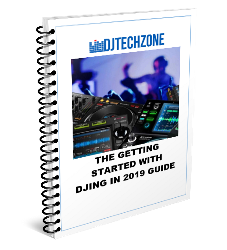 Expect more information soon, and if Denon DJ brings it to Namm (which is practically a guarantee), we will certainly be able to bring you one of the first reviews of it here on DjTechZone.